This is the third Build-A-BUG workshop in a series of five on yeast. You will learn more about molecular cloning and continue to hone your basic lab techniques, while continuing either your own or somebody else's mating type detector project. We planned to ligate all parts and transform E. coli during this session. 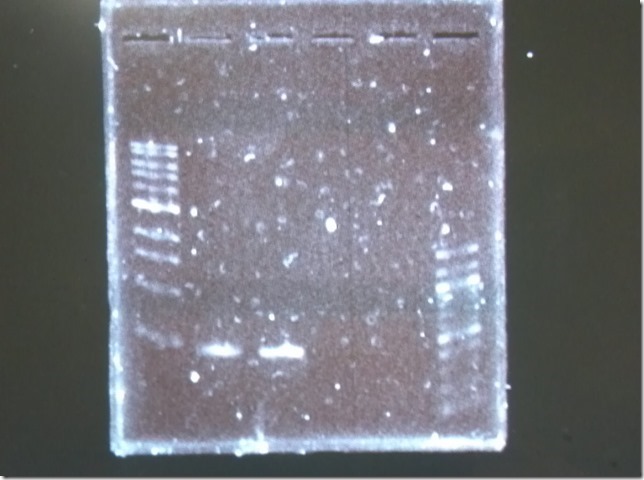 Unfortunately, we ran into two problems: the alpha-cell promoter part was not ready and the ADH1 terminator did not cut as expected (see gel image below). 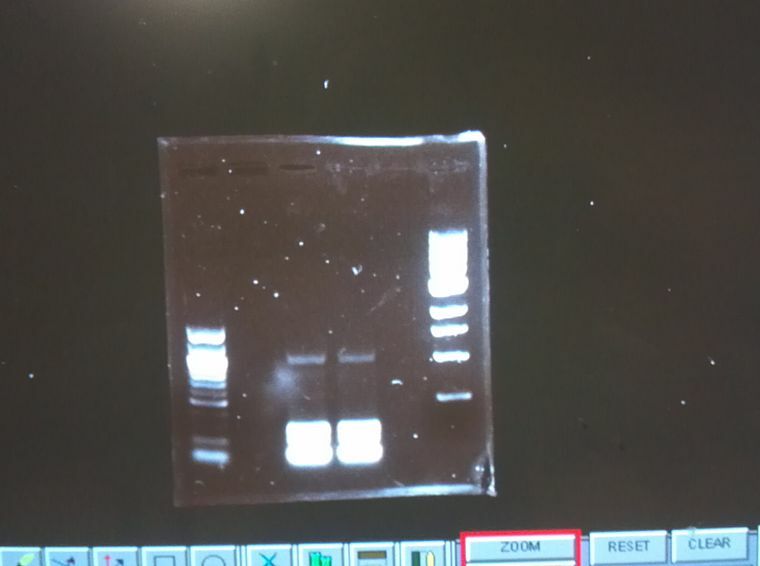 After weighing all options, we decided to PCR amplify the ADH1 terminator (BBa_J63002). This page was last edited on 18 March 2013, at 13:51.